Email List UK are leading suppliers of quality Email Addresses and Email Databases. We currently have over 4.7 million contacts and 2.6 million Business Email Addresses. Our B2B Data includes contact names, job titles, business categories, postal addresses, telephone numbers, website addresses and email addresses. 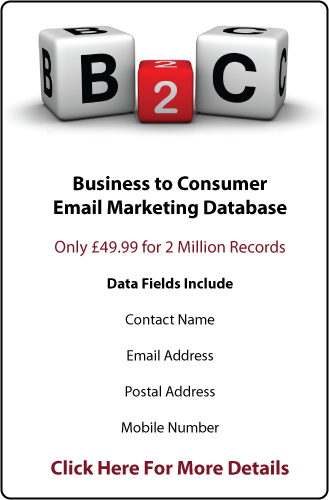 Our Consumer Email Database contains over 2.4 million B2C contacts including contact name, postal address, mobile telephone number and email addresses. Our data management and practices are General Data Protection Regulation (GDPR) compliant. We believe that our databases are the best in the UK and offer marketing teams greater opportunities through segmentation and targeted messaging. The data we provide is of the highest quality with high delivery rates and low bounce rates. 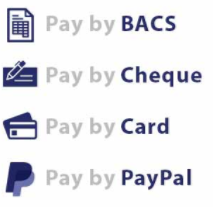 We offer a single use, multi-use or outright purchase option and our packages start from only £49.99 for both the B2B and B2C databases. Contact us here with your Business Email Database and Consumer Email Database requirements and we will provide a data count and tailored quote. 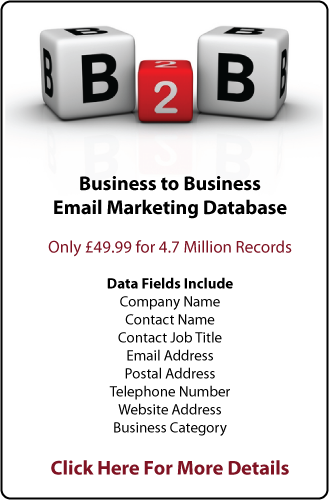 Or you can purchase our Business Email Database or Consumer Email Database today for only £49.99 for single use, £99.99 for multiple use (4 times in 12 months) and £149.99 for outright purchase. For first time customers we offer 10% off the Business Email Database or Consumer Email Database for outright purchase or a combined 20% off both databases when purchased together.